This award is designed for top performers who set themselves apart with extraordinary achievements. 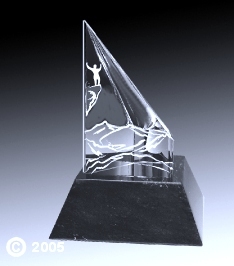 The Top of the World award features a triumphant individual standing on the tip of the mountain raising his/her arms high. The person is gazing at the horizon and admiring how far he/she has come.